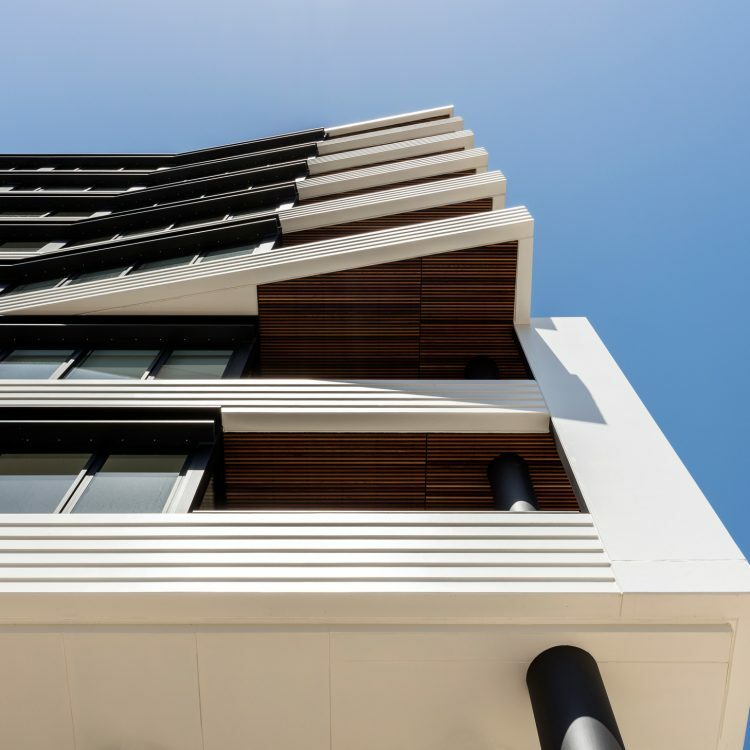 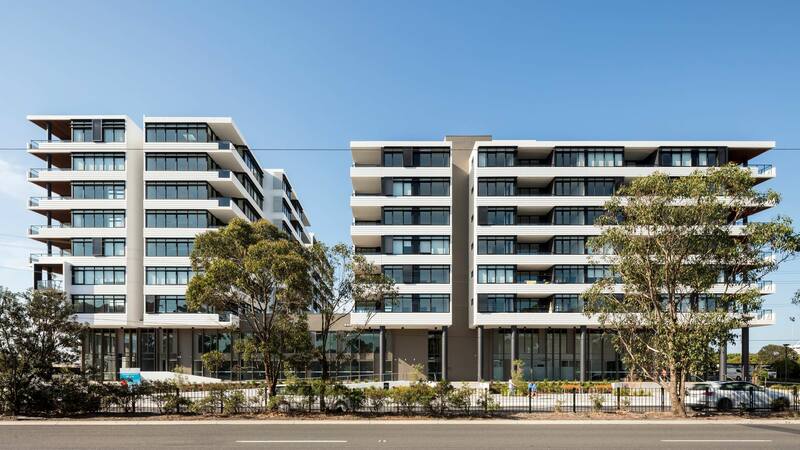 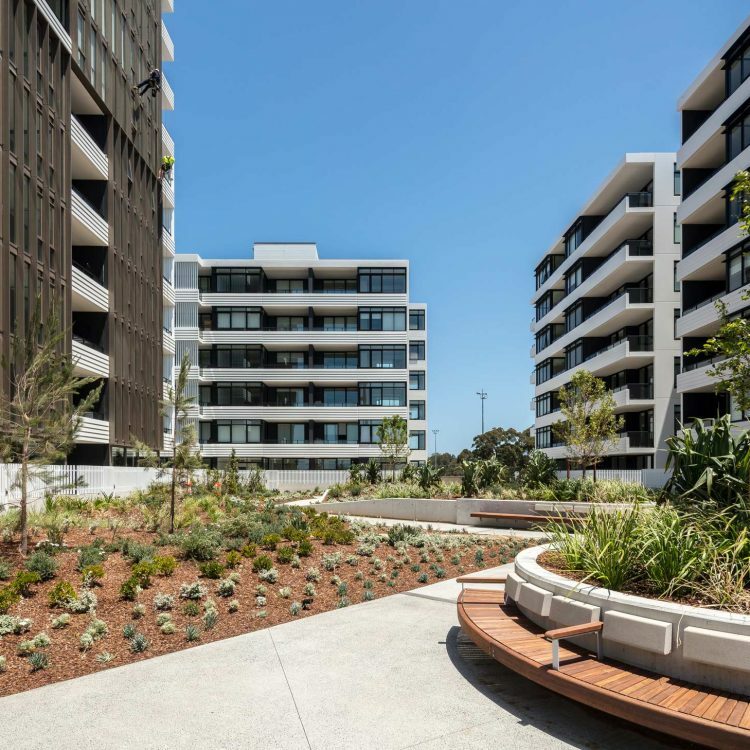 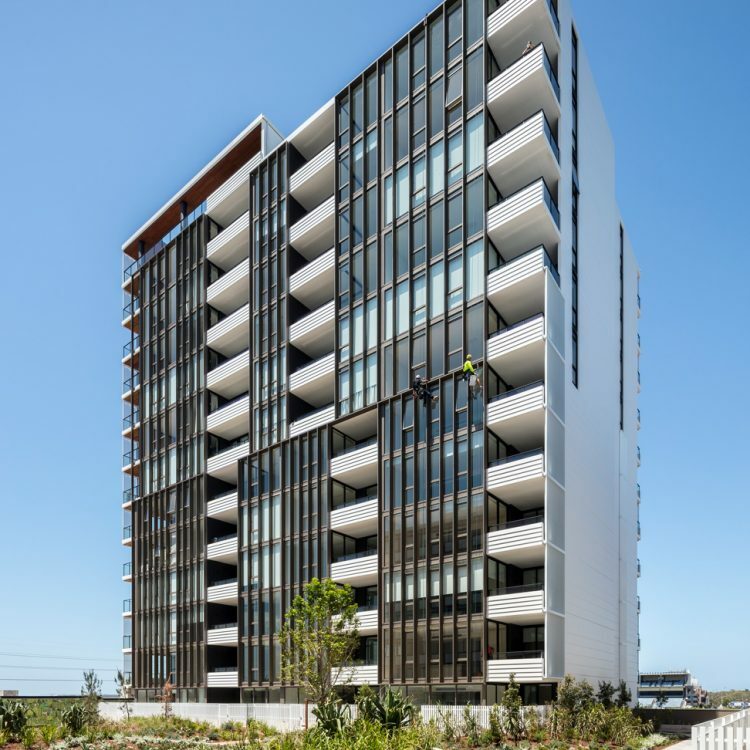 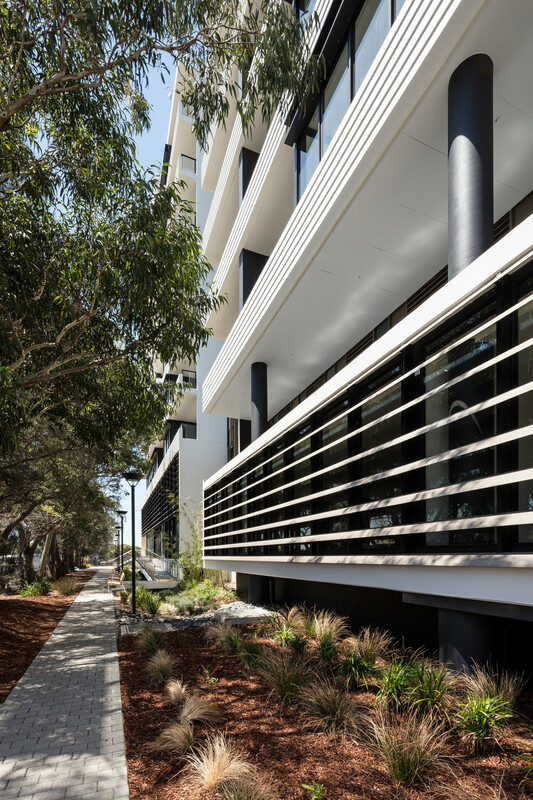 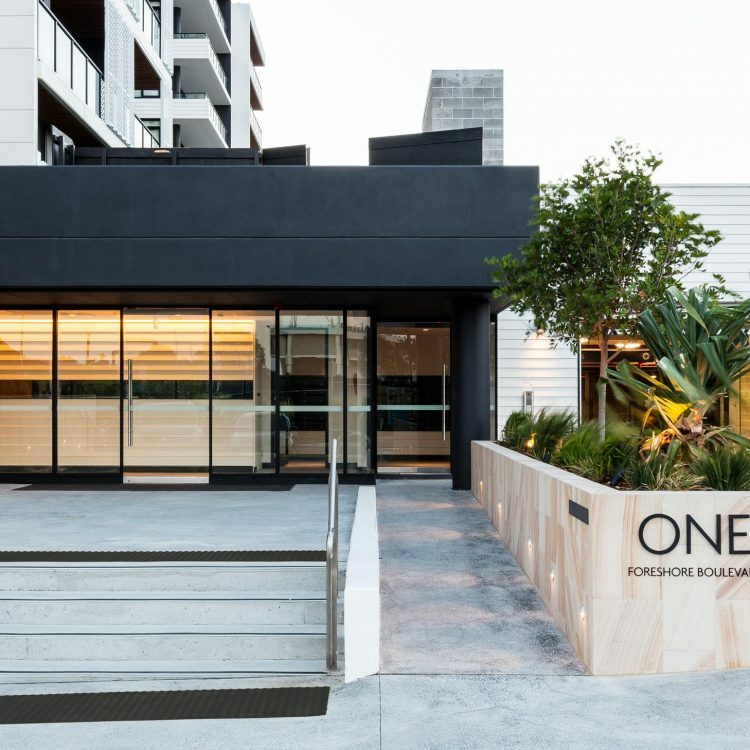 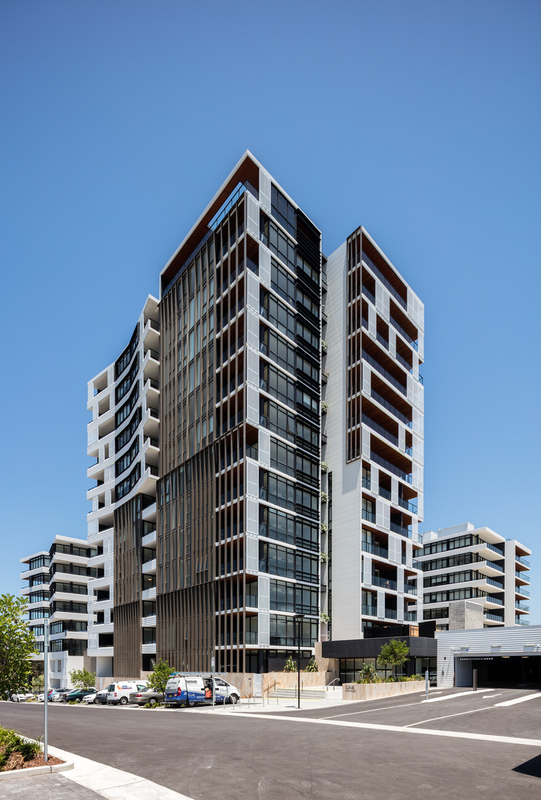 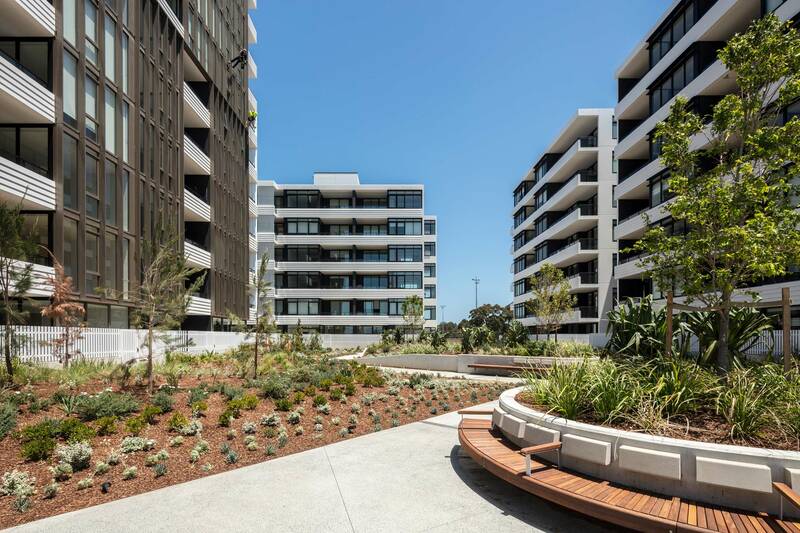 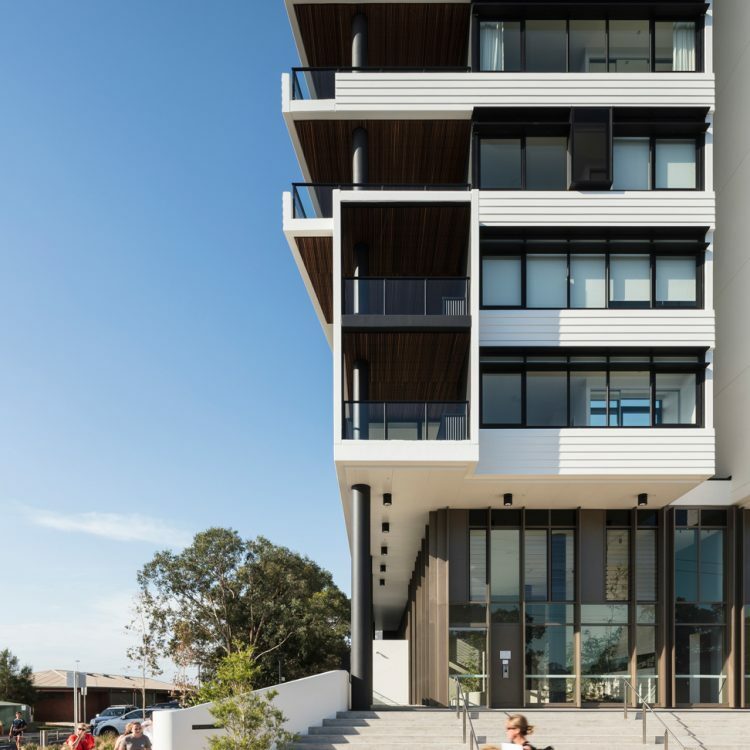 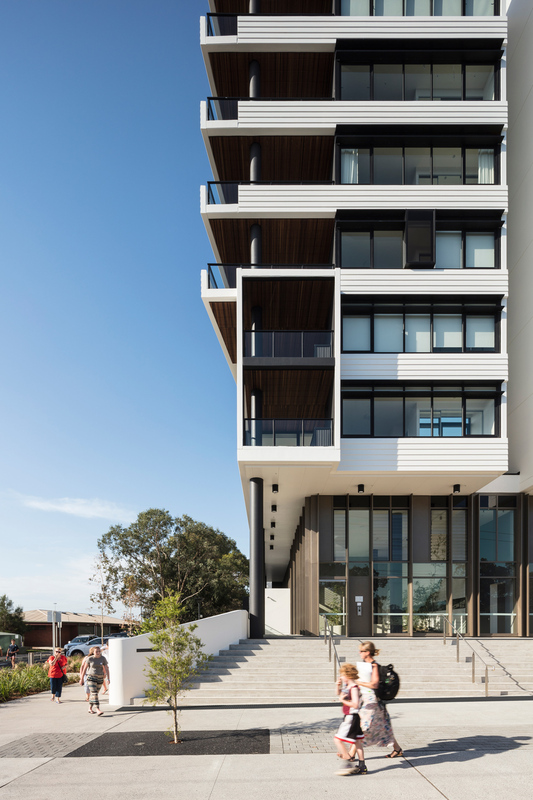 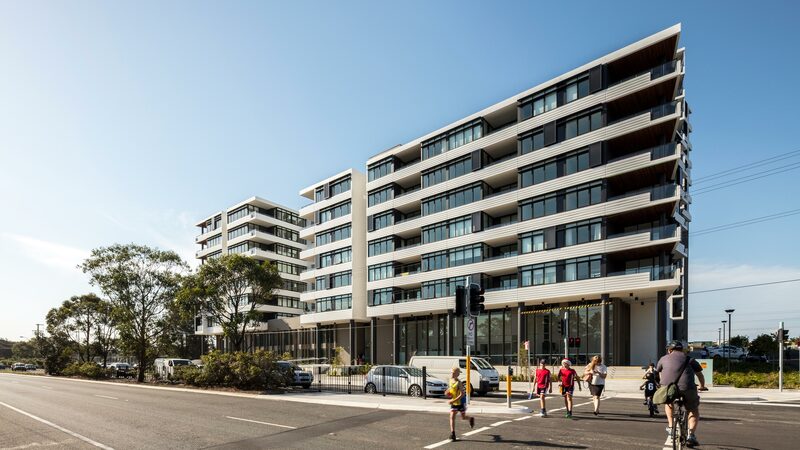 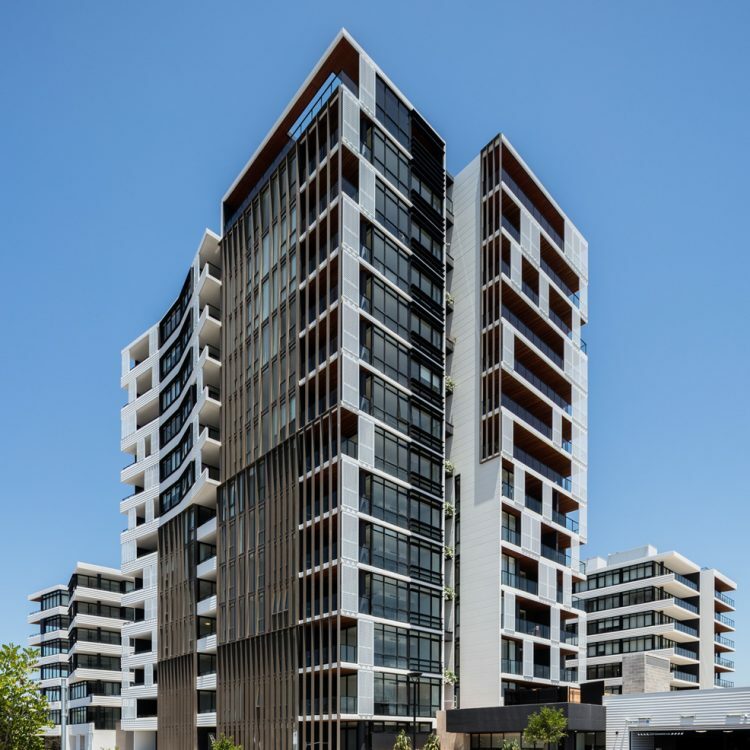 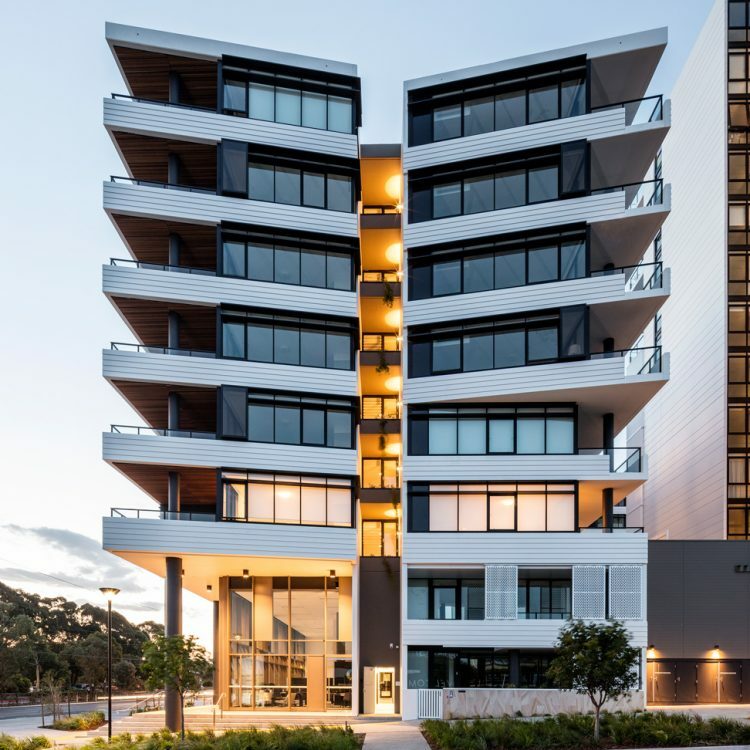 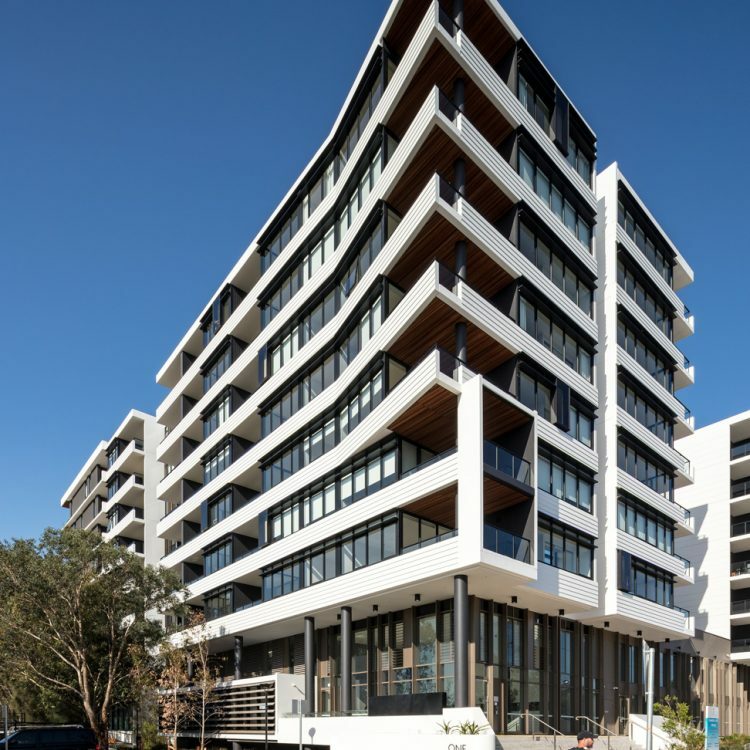 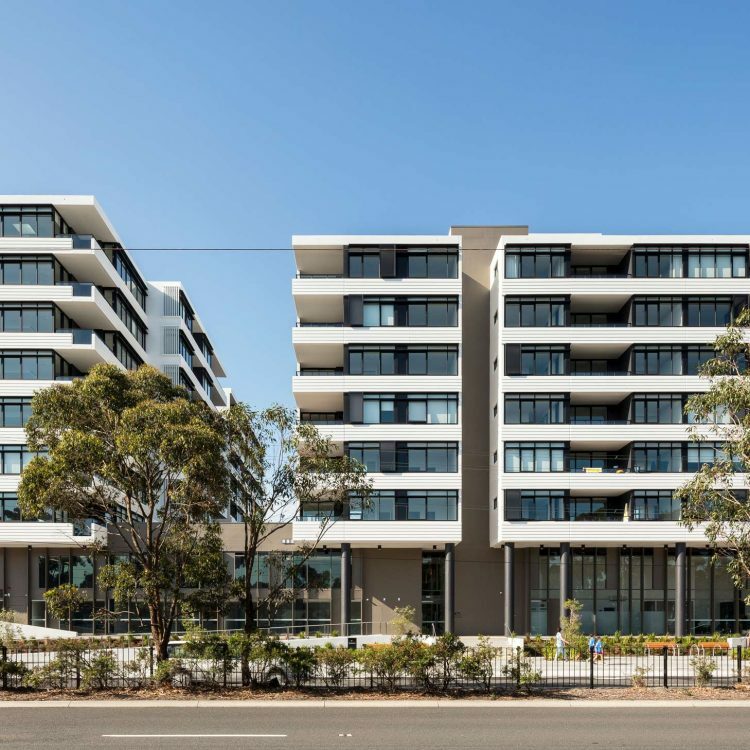 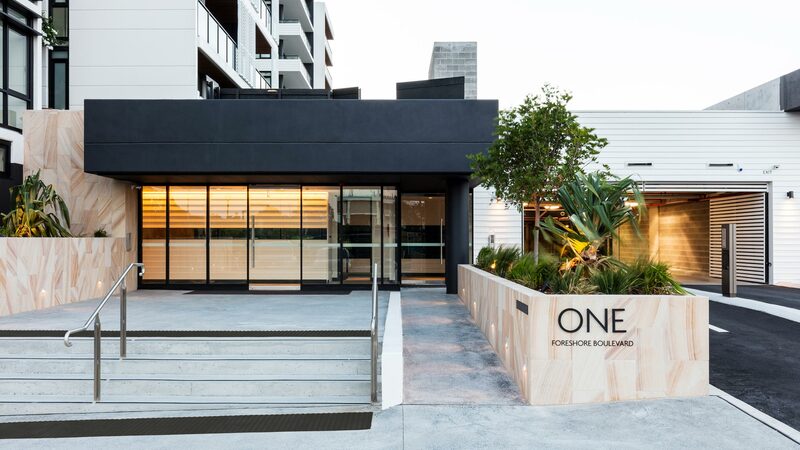 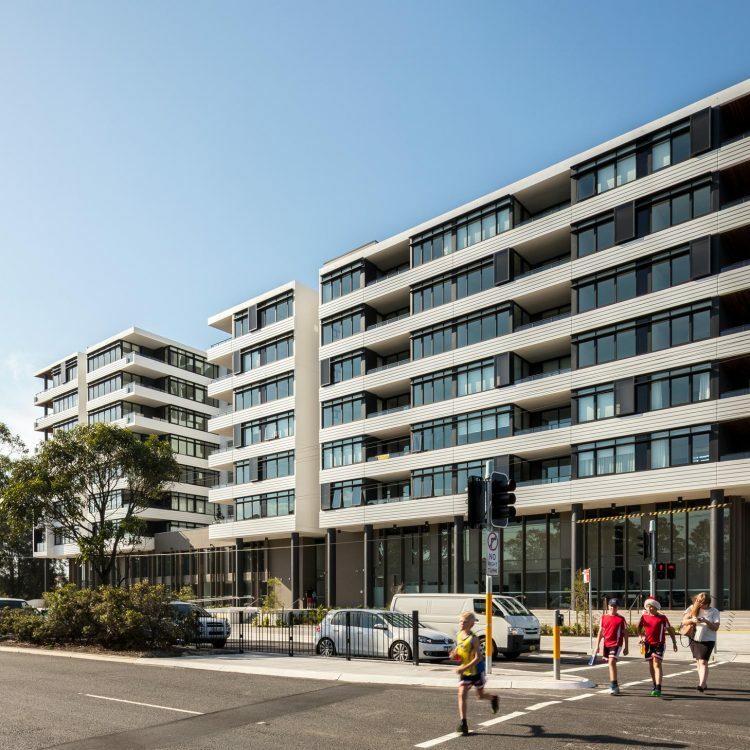 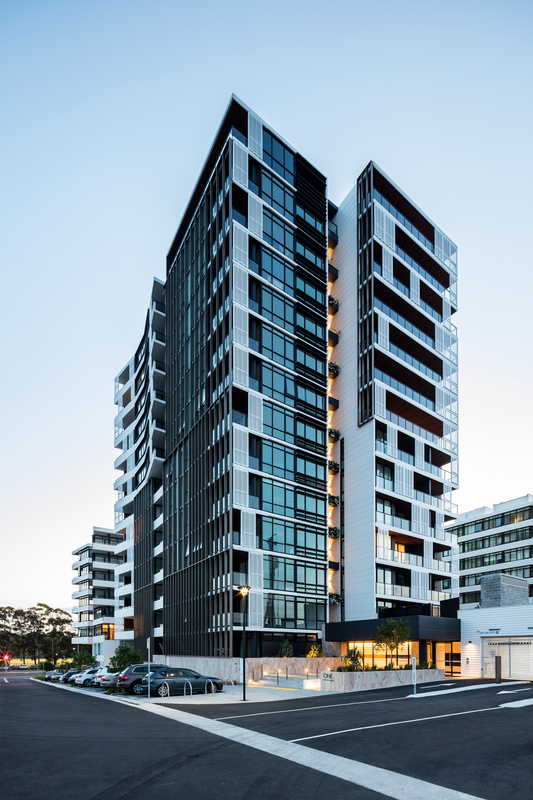 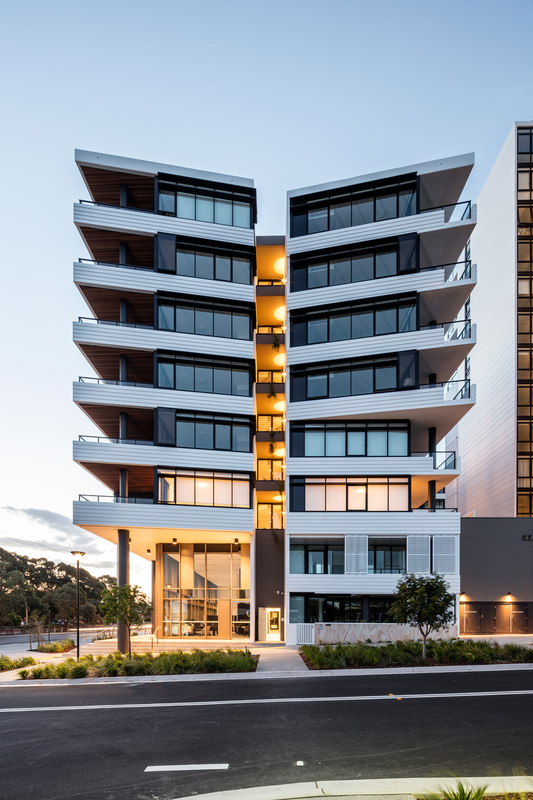 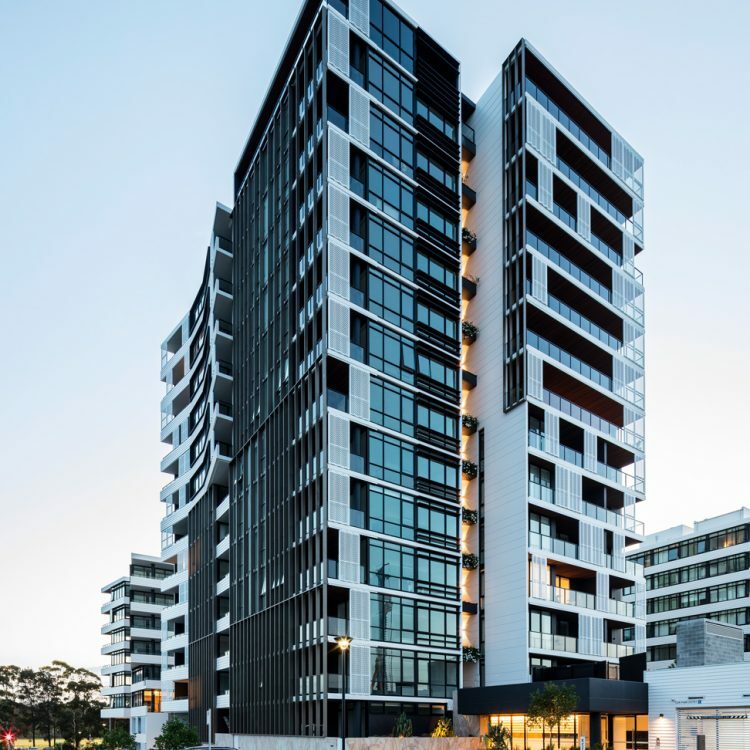 The first of three stages for the Woolooware Bay Town Centre residential development comprises 220 apartments in 3 separate buildings arranged around an elevated landscaped courtyard. 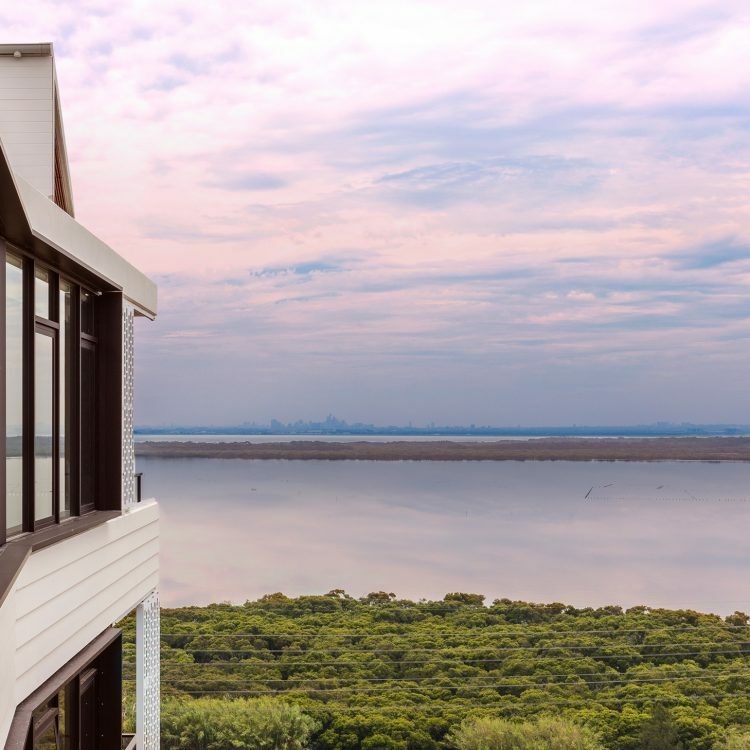 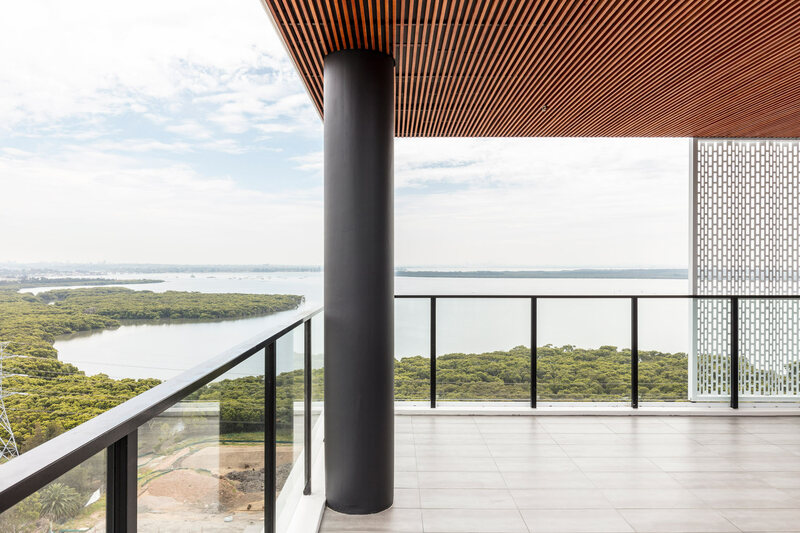 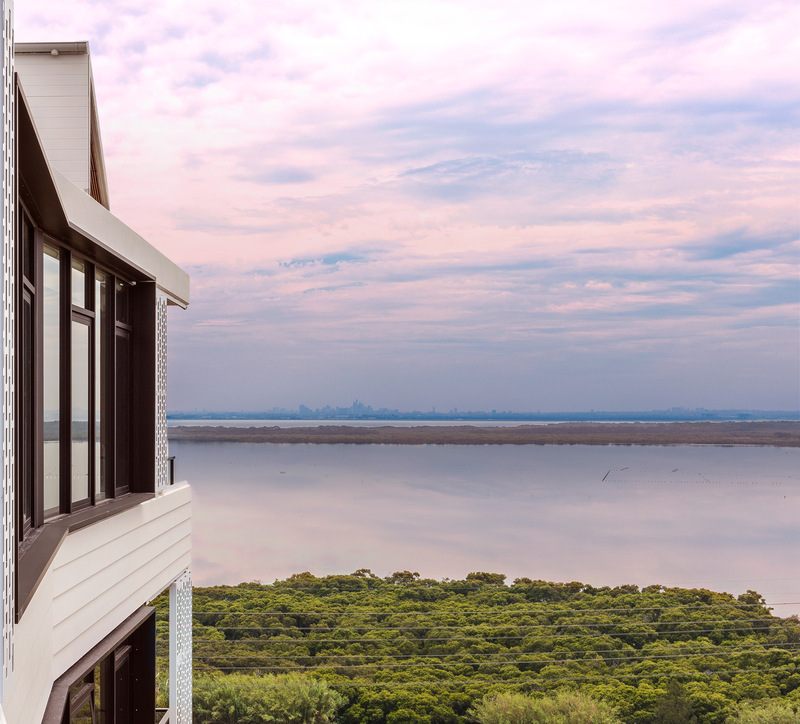 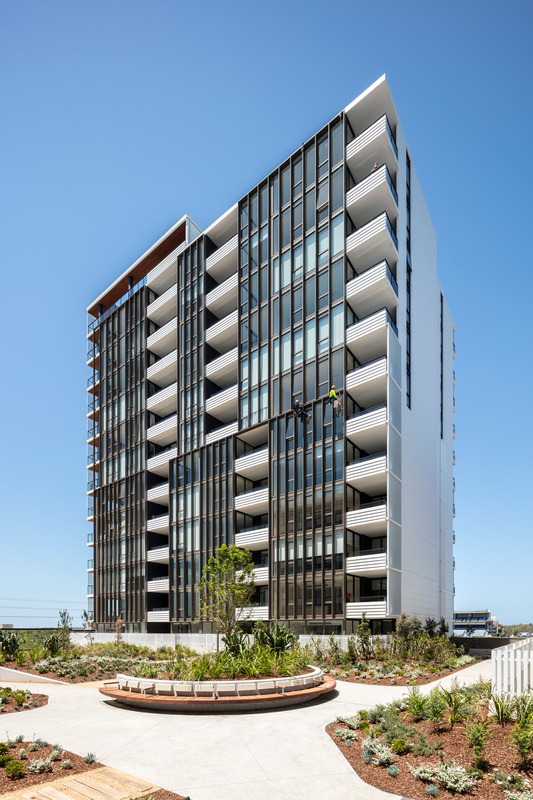 The buildings range from 8- to 14-storeys capturing views across Woolooware Bay towards the city. 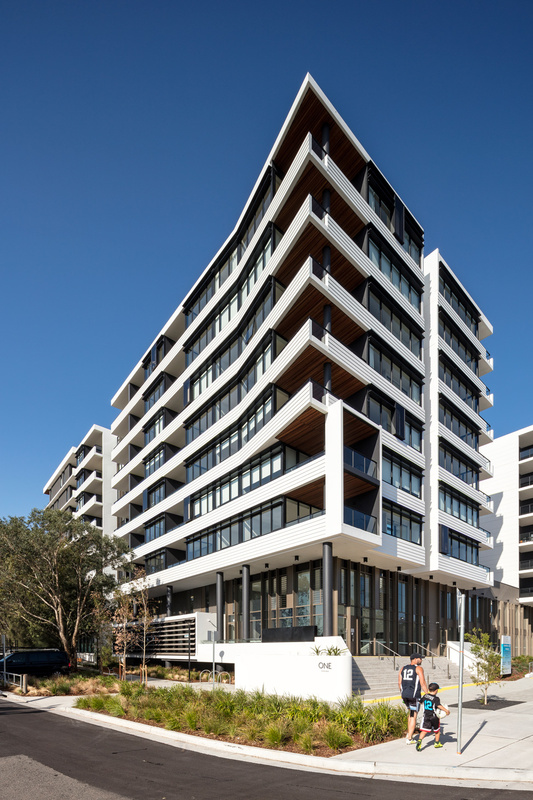 The base of the building contains apartments, commercial space, and a fitness centre and pool for residents. 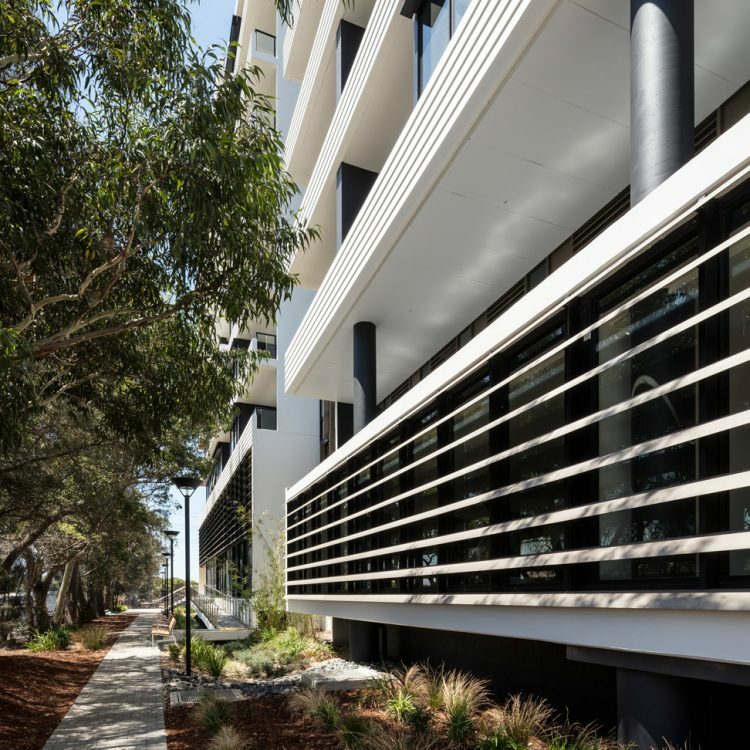 Generously landscaped courtyards are extended up through each building with planting framing views from the ends of each elevated apartment lobby. 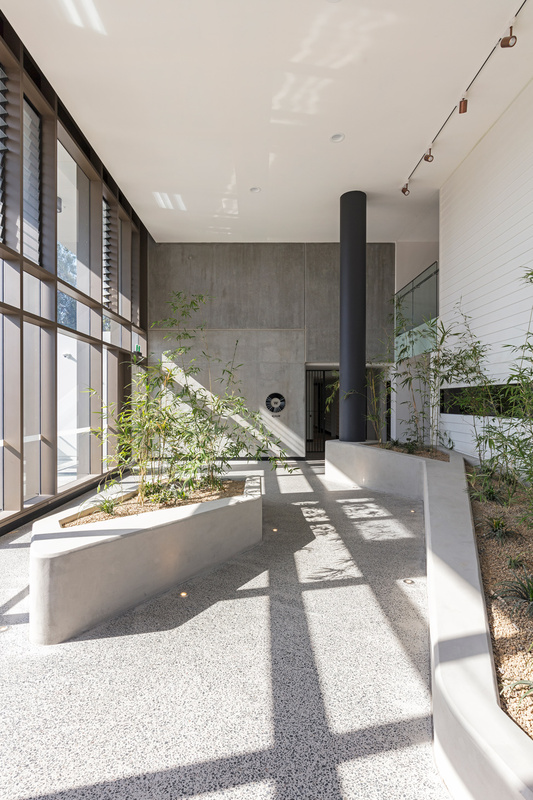 Materials are selected from a natural palette to add a sense of familiarity and warmth. 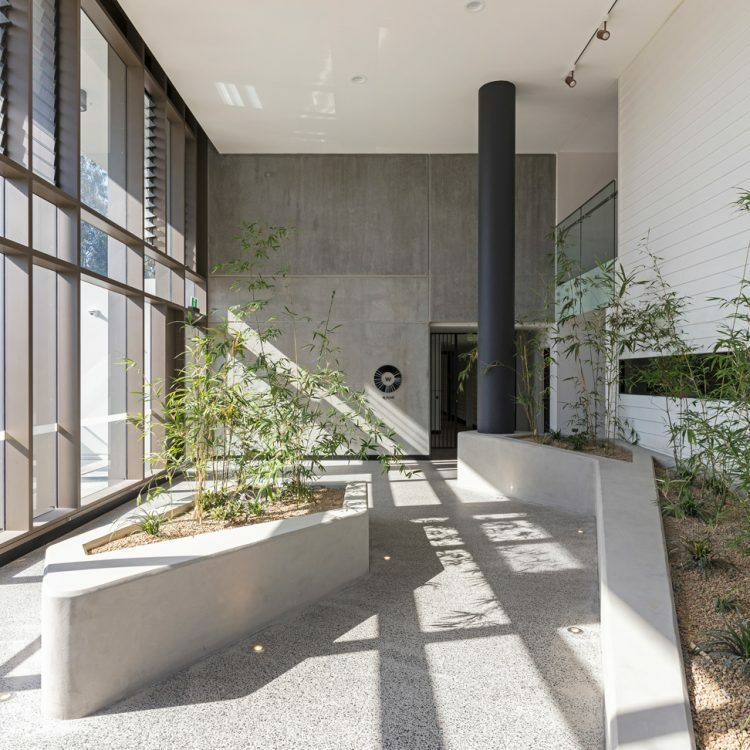 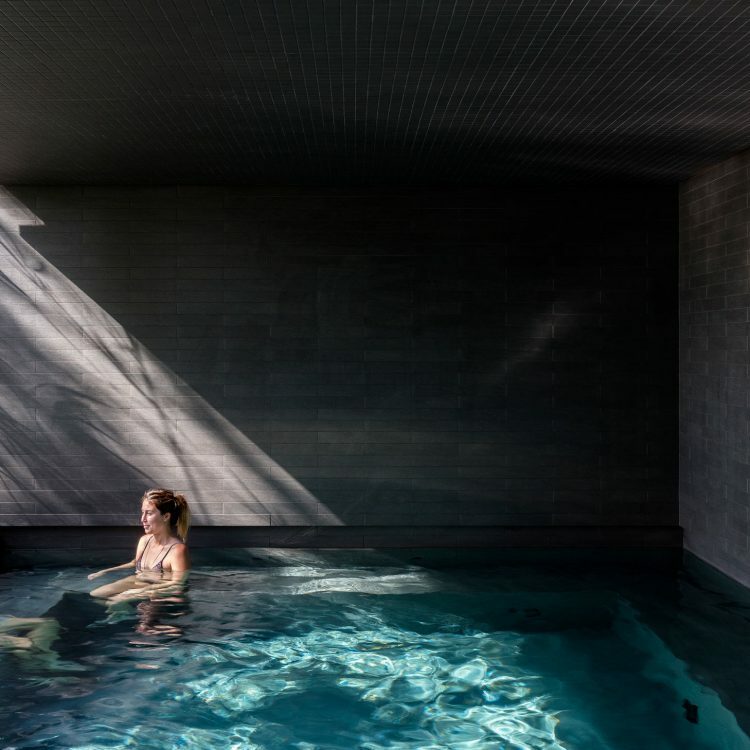 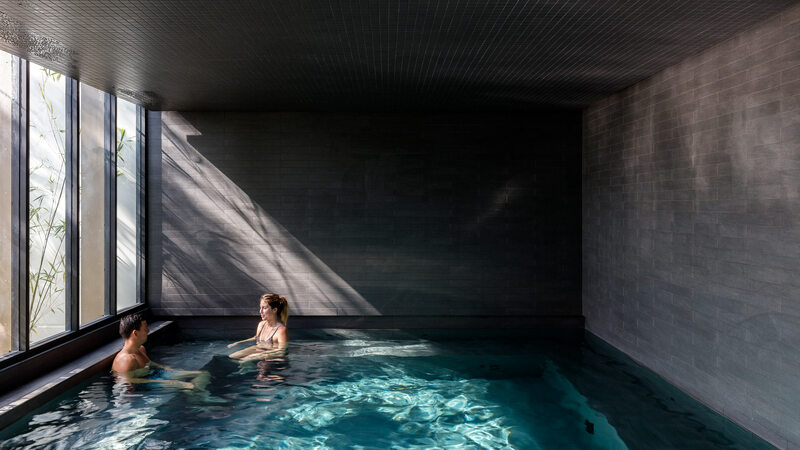 Facade materials have texture so that there is a play of light and shade. 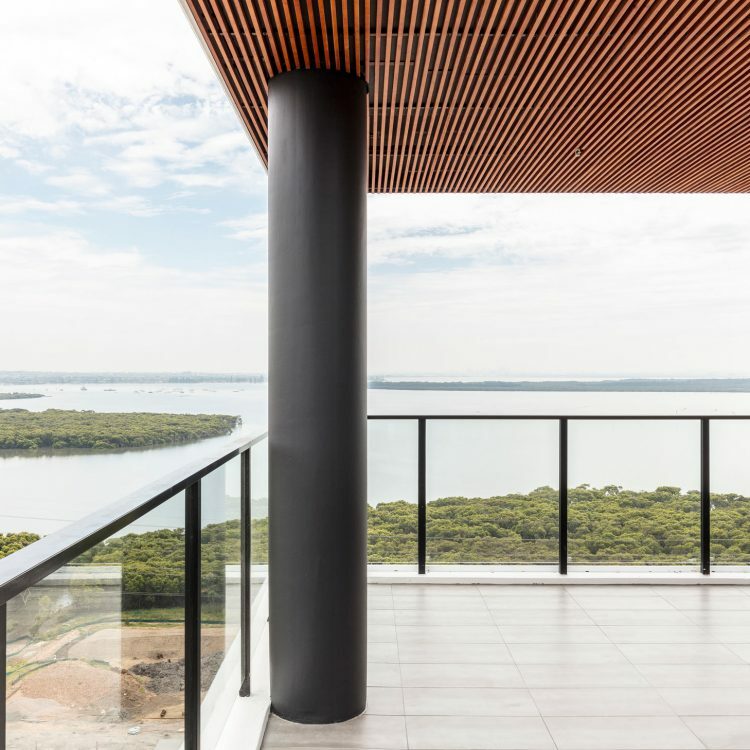 Shutters and louvres add to the composition of texture and shade glazing. 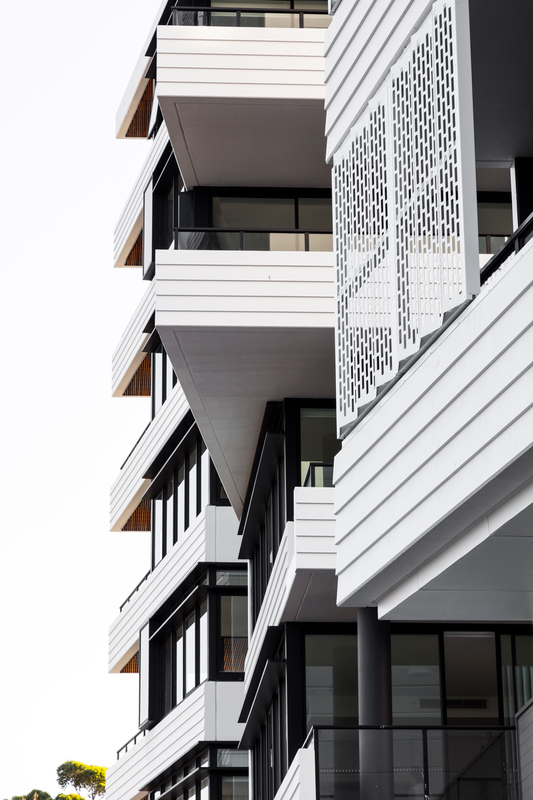 Many living spaces are brought to the facade line with adjacent balconies to offer full width loggia lifestyle. 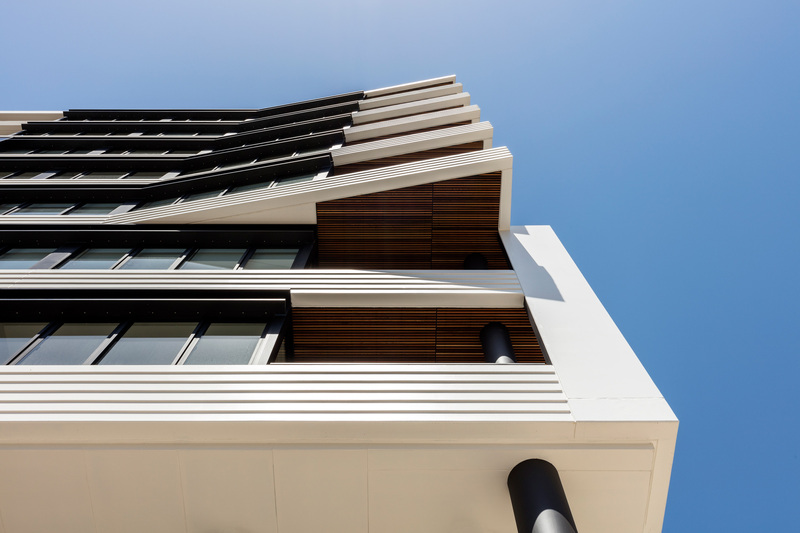 Key civic corners have balconies clad in timber to add warmth and highlight the dynamic compositions. 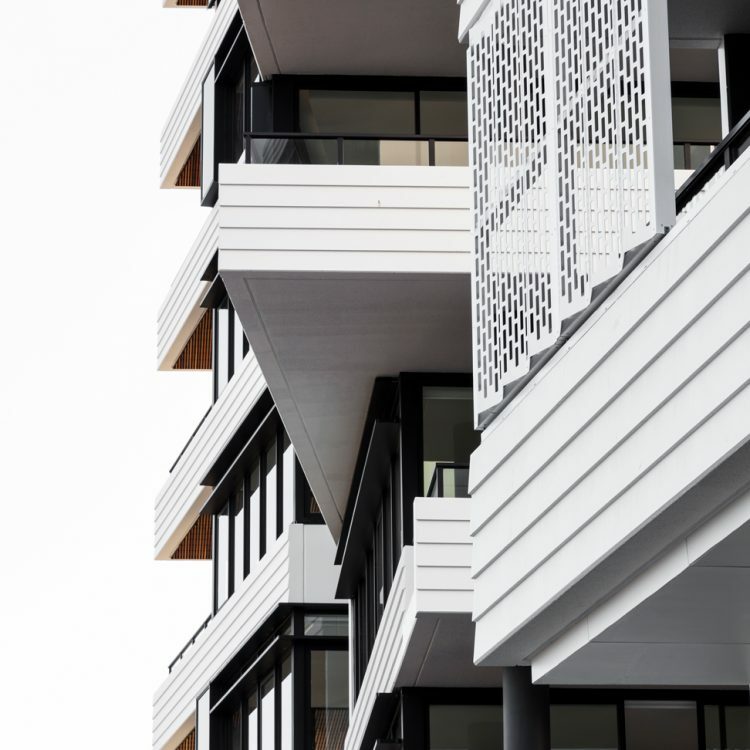 The natural selection of materials ensures low maintenance finish to ensure the quality of the development is maintained.